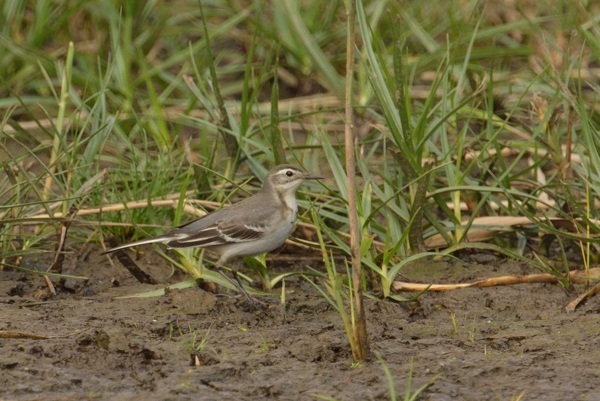 A first year Citrine Wagtail was found on Friday by David Parker, frequenting the eastern end of the marsh. I saw it today from the standing stone. The species is not naturally shy but this bird was not the easiest to see. 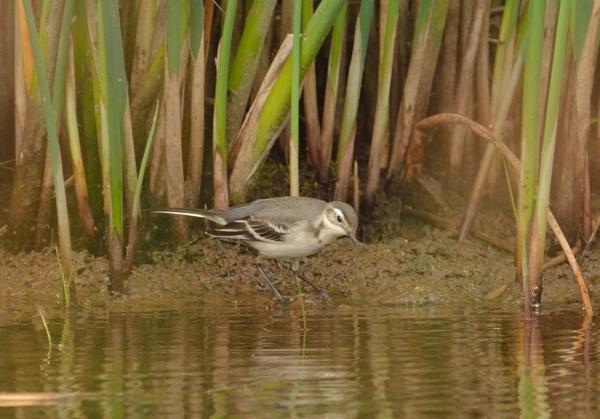 It just preferred the reed bed margins around the juncus grass islands so was mainly obscured from decent view. These are not exactly award winning images but they do show the important ID features, including the stout bill, necklace of dark spots creating a gorget and the pale supercilium extending round the ear coverts. The bird called in flight and the distinctive call was heard well.